A billiard table is an item to be used. Therefore, at some stage it will need to be serviced, repaired, or perhaps thoroughly restored. At Heiron & Smith we recommend a general service on home tables once per year. not need to fit new cloth to your table for many years. Removing the present cloth from the bed and cushions of the table. At times, some or all of the pocket nets on your table need to be replaced. At Heiron & Smith we offer advice and carry out this work in accord with the customer's instructions. 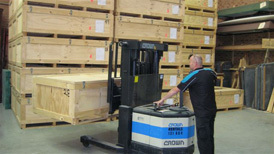 At Heiron & Smith this job is carried out partly on site and partly at our workshop.